Welcome to ICHRONstudio. If you’re sitting down and ready to build a website this form will walk you through the marketing concepts sitel structure and purpose of a website. Our goal is to create a seamless flow from beginning to end to avoid adding time and cost to your build. With years of experience we have created what we call the “Flow”. It's 5 easy steps that walk you through the very core foundations of your marketing. From the first place they see your name to the moment they click the button, we will walk with you as we build this marketing tool. The point of the blueprint is NOT to build your website but to BUILD YOUR MESSAGE.. Your website is only a tool that you will use to draw in customers and build your business. Thanks for letting us join you on your path to success. We need to know who you are and how to get in contact. The information in this section information will not go on the website unless you want it to. This section is information that you want to be placed on the web site. If different than Client Phone. So, you’d think that we’d start with the website, but we have found that in and of itself it is the last bit to put into place when building your success. The first place you need to look at is yourself...this isn’t new age discovery. It’s about your time and your products. What do you do that takes the least amount of time but earns you the most amount of money? It may not always be a big ticket item. Its about how much time you as the owner spend that then results in profitable income. What is your Loss Leader? This is a product that you dont' make money directly from, but leads to other income. A free consultation, or a discounted product that is popular are examples of Loss Leaders. What is your Value Proposition... What separates you from your competition? What are you saying to client to make them want to talk to you or use your product? Everyone says they have the best service and price. Find something that your competition can't claim. 24 hour service, money back guarantees, and years of experience are examples. “Everybody” may truly use or need your service but what we are looking for is the main demographics. That is to say if you sell energy drinks, both teens and Seniors may buy them, but out of a hundred purchases how many were seniors and how many teens. In this case teens and college students probably are the main consumer, so spending most of your money advertising in a senior interest magazine will not get you a reasonable return on your money. But if you sponsor a sport team or advertise on a college campus your odds are greater on getting back the money you invest. This is called ROI or Return on investment. Who spends the most money with you? Sacramento area, female, home owners, with kids, is an example of a local demographic for a kitchen installer. How can they see you? Your website will not “get you” number one on Google. The time when you could cheat the backend and rank higher than anyone else has passed. Websites do not work that way anymore, and anyone that is telling you they can “SEO” your site to number one for a low cost is flat out lying. A website is part of your marketing, it is not your marketing. For it to work in the Flow, we need to know why people are coming to your website, and for us to know that we need to know where they are coming from, and as always that comes down to money. The amount of people that can see your add is called your visibility. Social Media, Networking, and small print directories. Major media, Radio, TV, and Print distribution. Once we know how much you have to spend and where you demographic can be reached we then create a Draw. A draw is a phrase or sentence that when read or heard makes the person want to go to your website. When they get to the there the site has to respond to that statement. If you tell them the answers they seek are on your website you must then provide them with those answers. We call this the Draw Response, or just Responce. The Draw and the Response must match up. Are you ready to lose weight Organically. Now, consider adding in your loss leader. In this example let’s say that the first two weeks are free. Do you want to lose weight Organically and try it for free? Are you ready for two free weeks of Organic weight loss? A Draw is a phrase or sentence that when read or heard draws the person to your website. Examples of this are special offers, essential information, or "3 Reasons to Buy Now!". When they are on your site, now you have to keep them there. You have to have a Response for why they've arrived. Examples of this are testimonials, tips, and information to encourage a purchase. A Call to Action is there to get them to interested in purchasing or scheduling for your service over the competitions. Examples of this are coupons, sales offers, or special events. 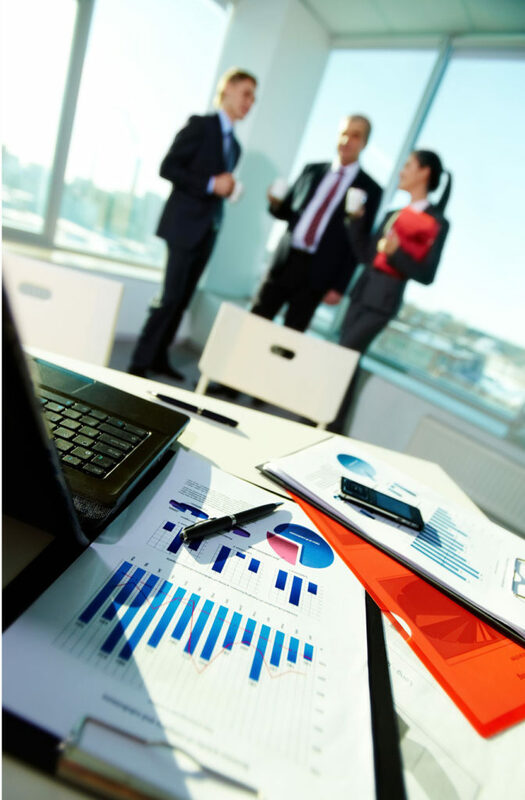 In the initial meeting we learn about your needs and try to match them up to our services. We lay out the blueprint for your site. You will receive our pricing agreement that will detail the financials, delivery dates, and outline the items for your project. The most vital phase of the build. We take all the information from the intake and design the architecture and look of your website. You will see what your site looks like before its actually built. From the Mock Ups we will build and test your site. When we are done you’ll have a powerful tool for all your marketing needs. The site will be updateable and be SEO friendly. When someone comes to your site, they've been brought over by either your Draw or just through good SEO. Now you have to get them to want to stay on your page. What's the feeling that you want them to have while they are on your site? This should be similar to what you decided for your Response. Give an example of a website that you prefer the look of. Pick a primary and secondary color for the website. To see our Color Chart click here. Gallery/Sample products and Marketing Images. Images can be provided upon request or can be altered as needed after the website build is completed as well as through the mock-up process. This the floorplan of your website, it helps lower the cost by being a pre-fabricated template. If you have a theme that you prefer, let us know here. We recommend using RocketTheme to pick from. Content is any words and pictures that you want on that page. In regards to your overall business if you don’t have some ‘go to’ content then this is a good time to compile it all together. Content is the list of products, the images that you took of your projects, and the story of how you got started in your business. It is the descriptions of each service, the return policy, and the directions to find your office. It is the meat and potatoes of your site and is often the hardest to generate. If you aren’t inclined to being an author we can help with content. We will work with you on making SEO friendly content for the Home Page and getting the necessary feel on the internal pages to show off your business. Some sites may only have a single landing page that includes additional content. With mobile users and the widespread use of tablets it makes for easy swipe navigation.